I’m one of those people that has to read the book before I see the film. 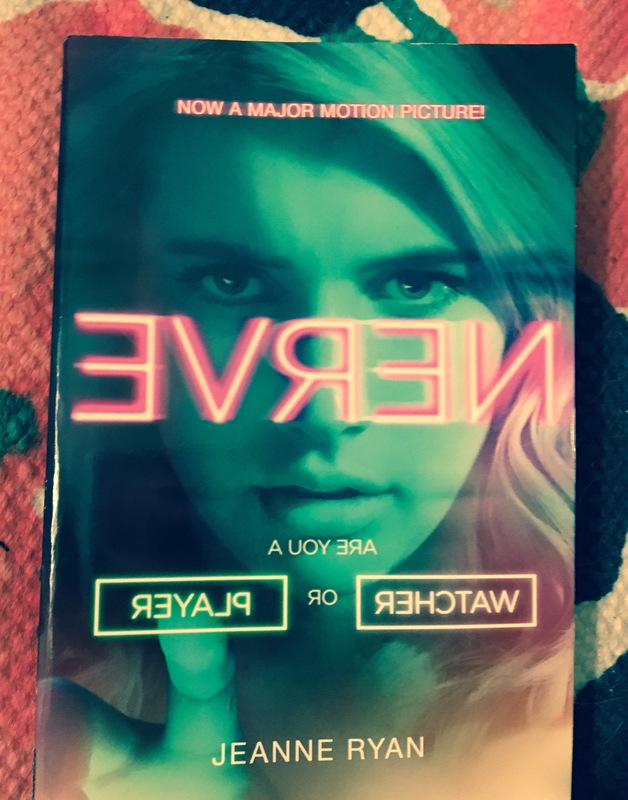 I also told myself I would try to avoid Young Adult books on this blog in hopes of attracting a neutral crowd but, alas, I’m going to review Nerve. This Young Adult book by Jeanne Ryan is about Vee, a junior in her highschool and remains the sidekick to her popular best friend. When she decides to step out of her shell and take a chance on Nerve, a live online game where both the risks and rewards are high, she has no idea what she is truly getting into. This book is an easy read while keeping you guessing. It is a little cheesy since it’s a Young Adult novel but great for an entertaining book that doesn’t command a lot of thought. Nerve is 294 pages and took me two days to read, hence the easy to read comment. I give Nerve a 3 of 5 for being a worthwhile read if, even in your late twenties like myself, you’re a sucker for “young love”. After reading this book, please comment with your thoughts!